Throughout the year we offer an array of seasonally inspired products. From Maple Walnut Caramel Cups, to Gingerbread and Sweet n’ Stout Truffles, each season has a unique flavor that can be captured in chocolate. Our highly trained chocolatiers also draw inspiration from the season to create beautiful hand decorated chocolates and three-dimensional chocolate novelties. 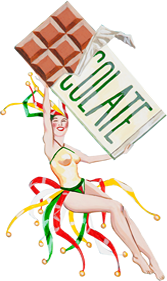 Shipping prices include insulated containers and ice packs when necessary to ensure safe arrival of chocolates in warm weather.